Since he signed to Cash Money Records in 1991 at the age of nine, Lil Wayne has been a major player in the rap game and in the music world as a whole. Since his debut, he has the most entries on the Billboard Hot 100 by any male artist with 109 songs. The track “Mirror” is off his album Tha Carter IV and features Bruno Mars on the hook. The song reached #1 on the Billboard Rap charts, and sold over 1 million copies, earning Weezy his 15th Platinum Record. Wayne teaches that paint can who’s boss. The song deals with Wayne coming to grips with how he is perceived by the world. He tries to strip away all the controversies that have surrounded him, from his past dealings with drug abuse to his failed relationships. He reflects on where he’s been in life, and where he might be headed. Bruno, no stranger to controversy or drug issues, sings on the hook that his own reflection has been his only friend through all his trials and tribulations, even though he’s tried to get others to see him for who he really is. While Wayne’s rap style is an acquired taste, Bruno really makes this song stand out with his always beautiful vocals. Bruno croons from a ladder. 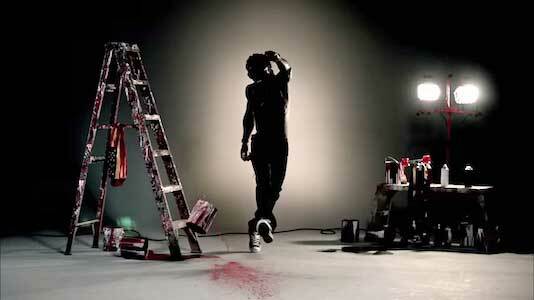 In the music video, both Wayne and Bruno are wearing chucks. They are featured prominently as Wayne spends much of the video kicking paint cans around what looks like an empty warehouse. 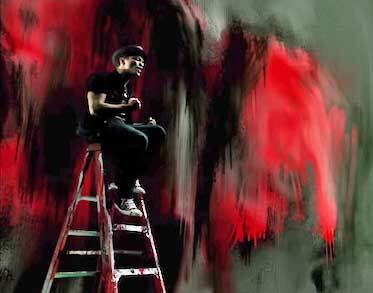 Bruno sits perched on a painter's ladder with his pair of chucks dangling off the edge. Eventually, we pan out to see that Wayne has actually been constructing a mural of himself on the wall before him. It depicts him as a Jesus-like figure holding a microphone and a bandana surrounded by his many faces. The setting and the spray of the different paint colors make for a really cool visual for the video, which makes this one of Wayne’s best. 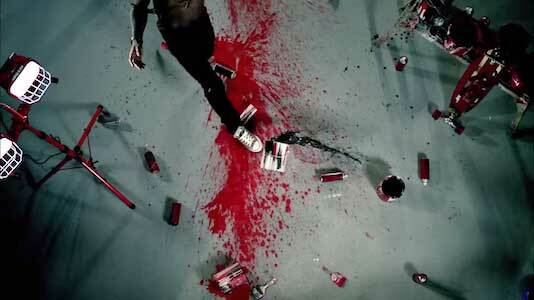 A very cool shot of Weezy’s gray chucks against the red paint. Get yourself a pair of chucks to help you face the world by clicking on the links below.